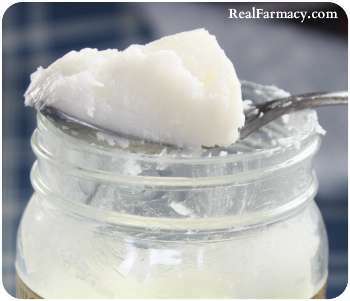 Coconut oil was victimized during that era of erroneous dogma that demonized saturated fats, including butter, and created the unhealthy trans-fatty acid hydrogenated unsaturated fat industry, which included margarine. Saturated fats have been resurrected from the trash bin of forbidden foods over the past decade or so with proven health merits. 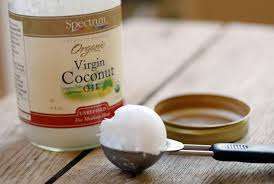 Now that the fog of junk science dogma has lifted, more and more health conscious folks are finding saturated fats, especially coconut oil, are beyond just safe. They are healthy and medicinal. Several published but unpublicized studies have been conducted and are in progress regarding palm or coconut oil’s medicinal properties. One of the most profound studies that you probably haven’t read or heard about involves cancer. It was conducted by Australian researchers and published in the January 2014 journal Chemotherapy under “experimental chemotherapy”. It was an in vitro (test tube, petri dish) study on human colon or colorectal cancer cells. Colorectal or colon cancer has the second highest death rate of all cancers and is the third most commonly diagnosed. Of course, the researchers were more concerned about determining a worthy adjunct for chemotherapy than finding an alternative. So they compared the effect of butyrate, a short chain fatty acid (SCFA) derived from fermentation in the gut, to lauric acid, a medium chain fatty acid (MCFA) that’s in palm and coconut oil. About 50% of MCFA palm or coconut oil is lauric acid. Lauric acid was a clear winner in promoting oxidative stress and apoptosis in colon cancer cells, killing over 90% of them within hours. Remember, cancer cells cannot handle oxygen. This is yet another reason to include coconut oil in your daily diet. Dr. Mary Newport’s husband Steve’s of case of Alzheimer’s was only getting worse from pharmaceuticals that were also creating unwelcome side effects. Steve’s case was quite advanced, forgetting what spoons where spoons were, not remembering friends and relatives, and walking with a weird gait. He even failed a test of drawing a clock from memory. It wasn’t even close, and it had nothing to do with artistic rendering. So Dr. Newport put her hopes into a new human trial at Big Pharma’s latest attempt to curb Alzheimer’s progress. Alzheimer’s disease affects over 5 million in the USA, and ranks seventh in deaths from diseases. It was fortuitous for Steve and Mary that they had missed the deadline for getting into that pharmaceutical trial. It went the way of others, proving ineffective or lethal. But Mary didn’t give up. She researched and discovered the trial they had missed was using a synthetic medium chain triglyceride (MCT), which is a more specific label for MCFA. 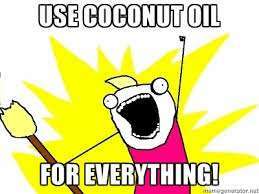 That’s what lauric acid is about, and it’s naturally abundant in coconut oil. High levels of long chain triglycerides are the ones that can be bad for you. MCTs are easily and quickly metabolized into energy by the liver into energy ketones instead of being stored as fat. Ketones cross the blood brain barrier easily and supply glucose starved brain cells the fuel they need to furnish neuron communication. Some health experts are beginning to consider dementia as diabetes type 3. After Mary starting slipping a tablespoon or two of raw coconut oil into Steve’s meals, he begin making real progress rapidly. His condition reversed to the point where he began remembering friends and family and conversed with them easily. His weird gate disappeared and he began taking long walks. He could finish projects once started that he couldn’t before. Dr. Mary Campbell wrote a book about their coconut oil experience, Alzheimer’s Disease: What If There Was a Cure? : The Story of Ketones. Judging from others’ successful experiences with coconut oil, it’s better to start dosing those MCTs at the earliest onset or hint of dementia or Alzheimer’s. Not everyone who has progressed to the Alzheimer’s phase that Steve had experienced will have the same results. 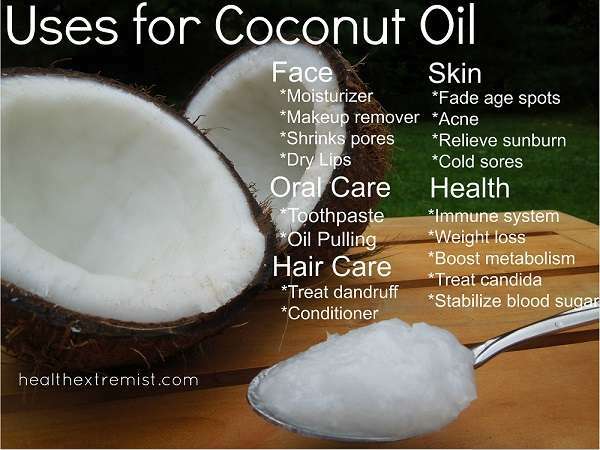 Besides, unrefined cold pressed coconut oil has many other benefits. It naturally kills multiple viruses, bacteria, fungi and parasites without disrupting beneficial gut bacteria. It aids digestion and liver metabolism, reduces inflammation. Applied topically, it promotes healthier skin and hair. Surprise, it seems to help promote weight loss. It may even help reverse diabetes 2. It’s great for cooking because it has a high smoke point, that point during cooking or frying when the oil starts smoking (burning), causing the oil to go rancid and toxic. What’s to go wrong with making it coconut oil part of your diet? Tagged alzheimers, cancer cures, colon cancer. Bookmark the permalink.